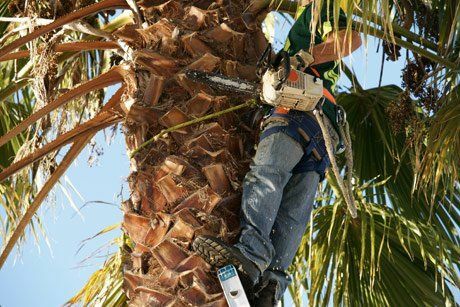 If you want a palm tree removed from your property, we can properly cut it down and remove it from your site. We can also safely and quickly remove palm tree stumps and get those removed from your yard. For any services related to your yard's palm trees, call our team today. Palm tree relocation takes careful precision and execution because of palm trees' unique root structure. 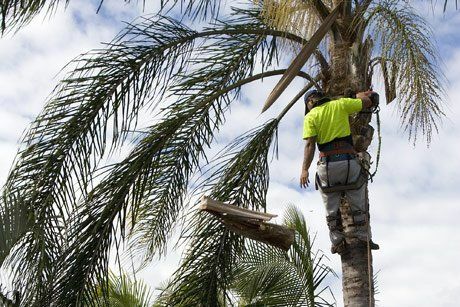 Each of our arborists is specially trained to remove palm trees and relocate them if needed. We can move your palm tree to another location on your site or another location entirely. 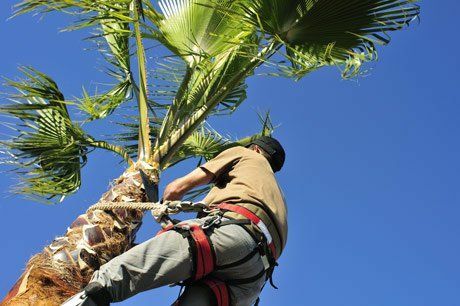 Along with palm tree removal, we also offer on-site palm tree pruning services. We can shape or prune your palm tree to your exact specifications. We can also remove the palm tree fruit and dead branches to ensure the longevity of your tree and the beauty of your yard. Call now. No matter the service or type of tree, our team of arborists will get the job done quickly and get it done right. Call us today for more info, a free on-site inspection and a quote.